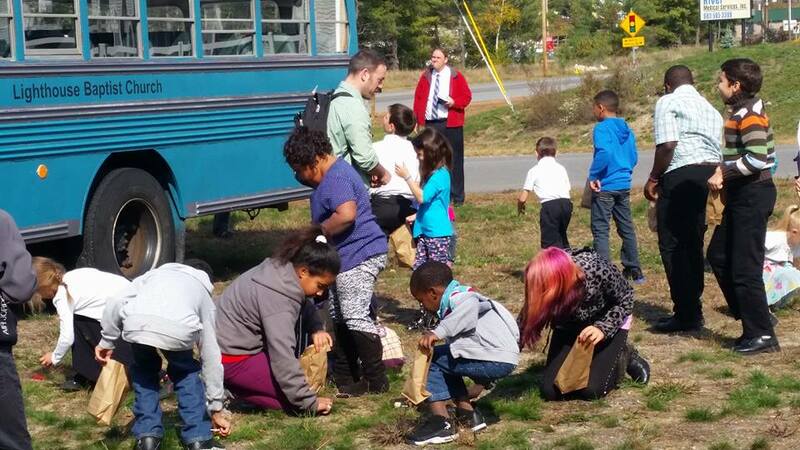 Transportation by bus is offered to families residing in the Nashua and Lowell, Ma. Communities. As a result, many children have been able to hear the glorious gospel. Caring workers visit their bus routes on a weekly basis, providing a helping hand to many who would not otherwise have a way to church. On the way home from church, usually a treat is provided or perhaps a different promotion would be used to demonstrate the great love that Lighthouse Baptist has for those who need transportation to the church. 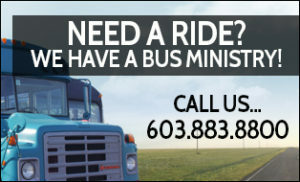 During the evening, we provide a church van that transports adults from Lowell so they can attend church. This has become a vital ministry to many who are excited about coming back to the evening services on both Wednesday and Sunday.